Phi Beta Kappa is the oldest and most esteemed academic honor society in the United States. Established in 1776 at the College of William and Mary in Virginia, Phi Beta Kappa celebrates and advocates excellence in the liberal arts and sciences. The society embraces freedom of inquiry, and liberty of thought and expression. The Lambda of Massachusetts Chapter of Phi Beta Kappa was established at Clark University in 1953. Every year, a select group of seniors who exemplify excellence in the Arts and Sciences, great character, and high potential are invited to join the chapter. Selection is made on the basis of outstanding academic achievement, demonstrated breadth and depth of studies in the liberal arts, intellectual curiosity and integrity, and tolerance for diverse views. Only 286 colleges and universities shelter Phi Beta Kappa chapters; additionally, there are dozens of PBK associations across the United States and one in London comprised of Phi Beta Kappa alumni no longer affiliated with a college or university. Election to Phi Beta Kappa is a widely recognized honor that expresses the Chapter’s admiration for a student’s academic and intellectual achievements. Election to the society is held in the Spring semester, conducted by faculty members who are members of PBK. These faculty determine the final selection on the basis of the academic records of candidates and the recommendations of the Clark faculty at large. To be considered, students must show a diversity as well as a depth in coursework outside the major; demonstrate knowledge of a second or non-native language through the completion of the intermediate college level or its equivalent; and have completed at least one course in college-level mathematics, logic or statistics. The induction ceremony is usually held the day before commencement before an audience of family, friends, and PBK faculty. The Phi Beta Kappa key is the official emblem of the society. On one side of the square metal key are the letters SP (for Societas Philosophiae) and on the other the Greek letters Phi Beta Kappa which means “love of learning is the guide of life.” The pointing finger and three stars represent the young scholars’ ambition as well as the three principles of the fraternity: friendship, morality, and learning. 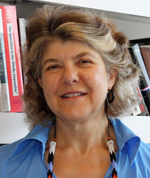 Clark’s Phi Beta Kappa chapter and the Center for Gender, Race, and Area Studies (CGRAS) will feature Harvard University professor Jennifer Hochschild as the focus of its signature launch event. The two-day series of events includes a biology colloquium, a public lecture, a master class, and, finally, a reception and discussion based on Hochschild’s research in the areas of politics, immigration, race, and genomic science. Individual events are variously hosted by the Office of the President, the Office of Diversity & Inclusion, and the departments of Biology, Holocaust & Genocide Studies, History, English, and Political Science through the Chester Bland Fund. Brendan Burgess is a double major in Political Science and Computer Science. Several faculty submitted recommendations for Brendan, citing not only his “ability to identify and confidence to pursue important questions and topics” such as little-explored national security issues, but also his active participation and leadership in the Clark Model United Nations and Competitive Computing Club, among many other expressions of outstanding intellectual engagement. Previous winners of the PBK Sophomore Prize include Marissa Natale in 2015, a History major and holocaust and genocide studies concentrator; Andrew Bellesis in 2014, a biochemistry and molecular biology major and holocaust and genocide studies concentrator; and Yisrael Lattke, a chemistry major, who received our first prize in 2013. PBK Sophomore prize nominations are solicited from faculty at the end of the academic year and the prize is announced and awarded at the start of the following academic year (the beginning of the student’s junior year). Odgerel Chintulga has won the 2017 PBK Boston Association scholarship. Odgerel is a junior majoring in environmental science with a minor in economics. She was recently featured in Clark Now for her LEEP project on the mining industry’s impact on the nomadic people of Khanbogd in her native Mongolia. Last year, Alicja Gancarz received the PBK Boston Association Scholarship. Learn more about the PBK Boston Association and their scholarship. The PBK Sophomore Prize is awarded to an outstanding sophomore who has demonstrated a commitment to the rigorous inquiry encouraged by this honor society. The 2015 PBK Sophomore Prize was awarded to Marissa Natale for her exemplary work in History and Holocaust and Genocide Studies, where she weaves together exemplary scholarly rigor in the classroom with applications and projects beyond the classroom, as represented by her LEEP project on Holocaust money. PBK Sophomore prizes are nominated at the conclusion of a student’s sophomore year and awarded at the beginning of their Junior year. Previous winners of the PBK Sophomore Prize include Andrew Bellesis in 2014, a biochemistry and molecular biology major and holocaust and genocide studies concentrator and Yisrael Lattke, a chemistry major, who received our first prize in 2013. PBK Sophomore prize nominations are solicited from faculty at the end of the academic year and the prize is announced and awarded at the start of the following academic year (the beginning of the student’s junior year). Clark students Shalyn Hopley ’14, Charlotte Turner ’14 and Austin Alexander ’13 were awarded writing internships with the national office of the Phi Beta Kappa Society in Washington, D.C. for which they prepared publishable articles for Phi Beta Kappa’s new site The Key Reporter. Crystal Fam, who combined a major in communication and culture with a major in geography, talks about the importance of setting goals early on as an undergraduate, and how her senior honors thesis provided a way to explore her Singapore identity. He decided to follow his passion, however, and his facility in music lead to one success after another: at Clark, he was the Musical Director of numerous campus musicals, including Curtains and The 25th Annual Putnam County Spelling Bee; was a Peer Learning Assistant, in which he was able to tutor students in musical concepts; and wrote various compositions, primarily for string quartets. Aaron’s sensitivity to the way people would hear his music lead him to produce winning pieces. As an army brat, Aaron had natural awareness and interest in the way people think, especially people of different cultures, which he explored through his varied coursework in international relations, economics and French. This fall he is entering the California Institute of Arts to pursue his Master of Arts in music composition. One day he may pursue his Ph.D. in music composition so he can teach at the college level and continue to write music, in the way he feels his beloved professors in the Music Department at Clark imparted both their knowledge and talent to their students. Growing up in Romania where she had specialized in foreign languages-bilingual in high school, Oana Chimina had long had diverse intellectual interests in foreign languages, history, politics, and literature, which she pursued at Clark through her major in International Relations and French. Her serious engagement with her studies lead to notable experiences abroad and at Clark. As a sophomore, she spent a semester in France at the University of Burgundy, studying French literature and culture, and at Clark, she started the European Students Association, as well as worked as a research assistant for professors in political science, and wrote honors theses in both International Relations and French. Her skill in language and politics culminated in a significant project supported through a Harrington Public Affairs Fellowship, in which she examined the effectiveness of the National against Trafficking Persons in Romania in hindering human trafficking. In recognition of her many successes, she was admitted to the political science honor society and awarded the Sallie R. Holthausen Prize for Excellence in International Relations and the J. Fannin King Prize for Excellence in French. During the summer she had a consulting internship with the International Data Corporation and a second internship with the Social Science Research Council, in a program on security in post-conflict societies coordinated by the London School of Economics. This fall she is attending Cambridge University in the UK where she is pursuing an M.Phil. in International Relations. Alexis Lightner has parlayed her impressive academic background in communication and the innovation and entrepreneurship program to effect a real change in Clark’s campus community. Earlier in her academic career at Clark, Alexis had held a prestigious internship in London where she wrote and published blog posts for ABC. Back at Clark, she has used her media and business savvy to further Clark’s mission of fostering the campus community. With the goals of reducing waste on campus, creating employment opportunities for students, and providing college students with a place to purchase inexpensive essentials, Alexis created a winning proposal for a neighborhood thrift store, which she brought to fruition. After taking first place in the U-REKA: Clark’s Big Idea contest, a campus-wide competition to benefit the Clark campus community, Alexis acquired the seed money for this project. The campus thrift store located on Main Street across from the campus square, has not only beautified a section of Main Street, but serves both Clark students and its neighbors, who make up about fifty-percent of the store’s clientele. The Society of Professional Communicators recognized Alexis’ achievements by awarding her the Elaine Cencak Memorial Scholarship Award. During the summer she had an internship with AFS USA, the non-profit study abroad organization, to help the organization develop its social media strategy, as well as a job with Intrinsic Consulting, a marketing firm. This fall, she is entering the fifth-year program in Masters of Science and Professional Communications to further her study. Megan Mateer, inducted into Phi Beta Kappa in 2010, encompasses the academic excellence, as well as the breadth and depth of liberal arts study, representative of the honor society, Phi Beta Kappa. She received a B.A. in Psychology in 2010 and is currently completing her fifth year in the M.B.A. program at Clark. As an undergraduate she realized the value in exploring a variety of intellectual avenues, taking courses in graphic design, gender studies and international development. Her diverse studies culminated in her pursuing a final project in psychology that explored women and eating disorders. She also pursued her broad intellectual interests through study abroad at the University of Cape Town, with an international program that focuses on service. While there, she participated in a number of service and research projects. She assisted twelfth graders with homework, providing them with a mentor, and the overtaxed teachers with additional help. She also created two research projects, one to determine a more nutritional food to be sold by local women in the community and her capstone research, which involved creating educational programs to increase more effective education for HIV prevention. Her awareness of the importance of local cultural values in creating successful social programs—one of the crucial lessons learned through the international and cultural focus of her studies at Clark—formed the basis of both these projects. In her M.B.A. program, she hopes to maintain that focus through an emphasis on corporate social responsibility, concentrating on public accounting.